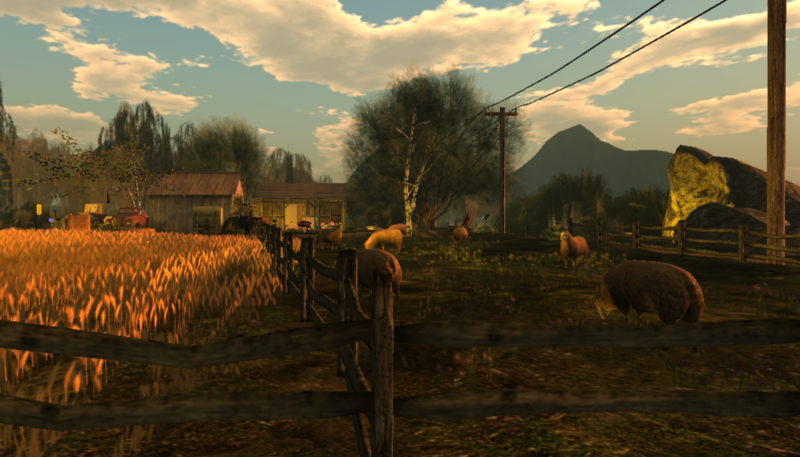 One of the destinations I’ve visited more than just a quick one-time look around is Meadow Rose. The 65,520 square meter sim is rated Adult. The land description includes the statement, “Meadow Rose is just the start of the story.” It sounds inviting to couples but I found it not to be exclusively so. On my return visit, I brought my horse and my camera. At the landing is a fence with info about the usual Flickr, Group Joiner and such, plus an info giver for Kismet builds. I have distant, fond memories of the huge Kismet home owned by a weird family of vampires that took me in somewhere around 2012. I was delighted to see the same build is used here. I recalled that it had a secret room. I found it, and that is where the adult stuff is on the sim, whether you want to find it or avoid it. On my second visit I noticed some paranormal activity in the local cemetery. 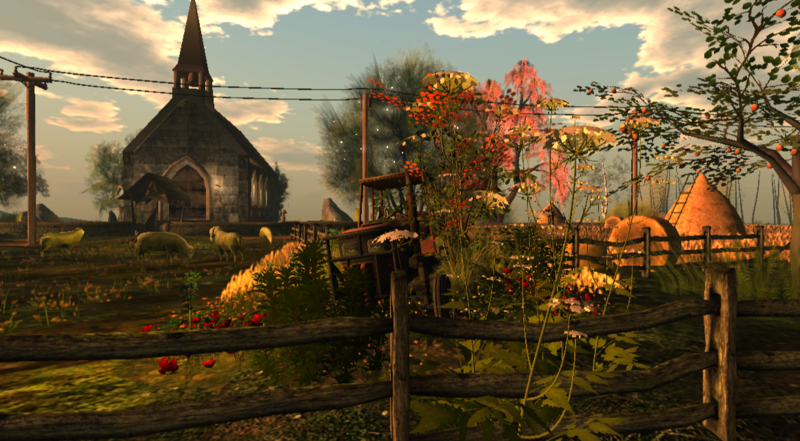 I most enjoy the paths around the sim and the use of wildflowers. Textures rezzed quickly for me, unlike many other places, and I noticed less lag. A friend mention one of the gazebos or pavilions was an older build, and was pleased to see it in use. 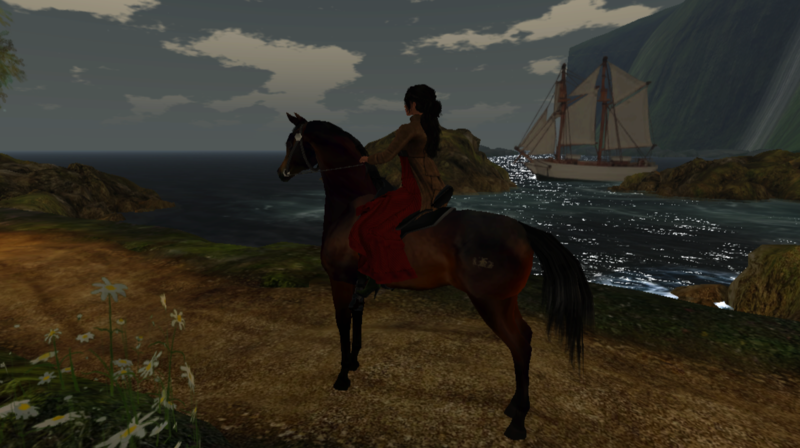 I noticed a few other avatars on horseback too. There are several scenic areas to sit and spend a little time. No one living or dead bothered me on my visits. 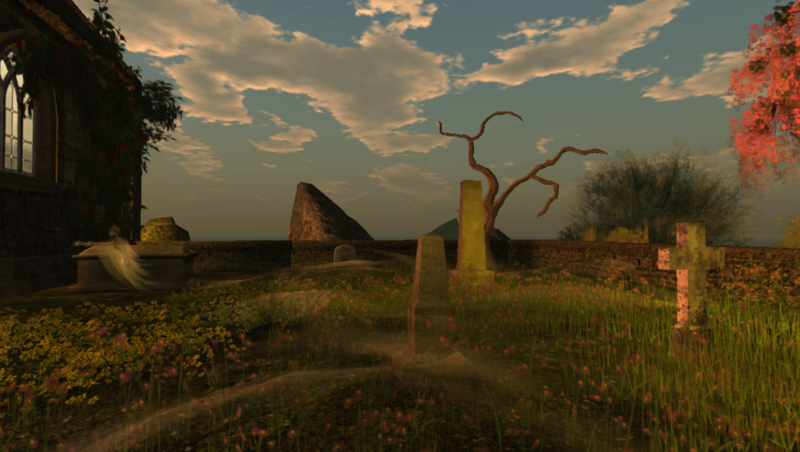 Pingback: Meadow Rose, Neverland — Million Happy Endings | ZZ Bottom misadventures in Virtual Worlds!